WIP Wednesday: Still on the Stole! I am trying to decide how long to make the stole in the end... with some difficulty. I've never actually worn a *real* stole. I've worn other scarves in a style like a stole (draped around my shoulders) but I've never really seen what a proper one feels like. At this point, unstretched, with less than 2 of the diamonds completed the stole is as high as the back of my couch! 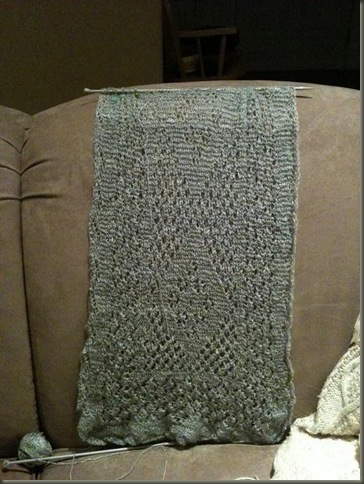 I am thinking I might do 3 complete repeats and then pseudo-block and see how much length I am getting (i.e. pin it to the bed, unwashed, and just see how much it will stretch). The width of the stole nearly doubles when stretched a similar amount to what I think I will have to do when blocking... so will the length double also? I'm thinking it will likely be at least another 50%? You can see the ball of thread in the bottom right of the photo... 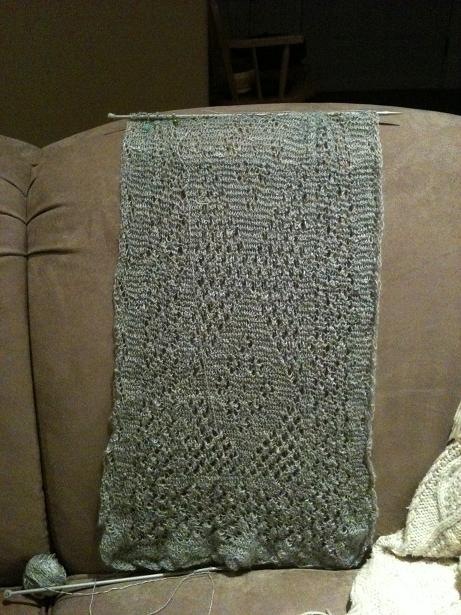 I just joined ball number 2 (about 10 rows ago) and it looks like I have a lot more than I originally thought I would. 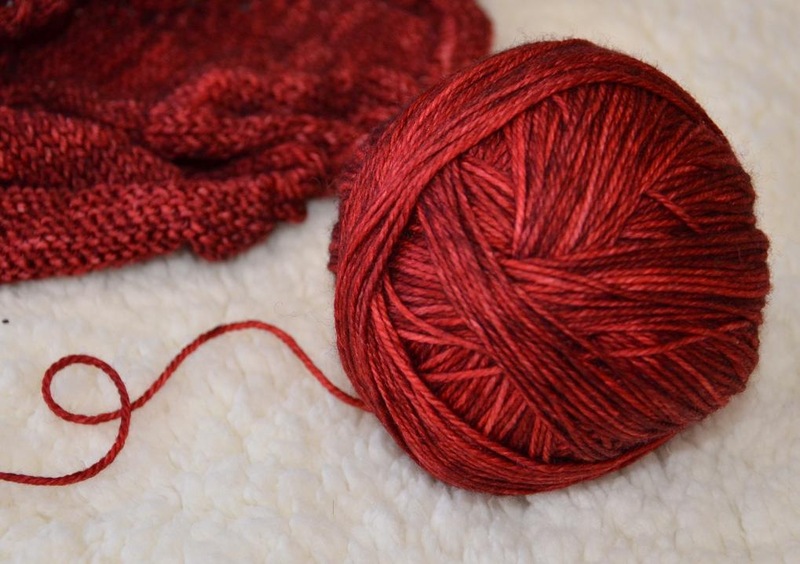 The yarn is so thin, that the size of the ball is misleading. 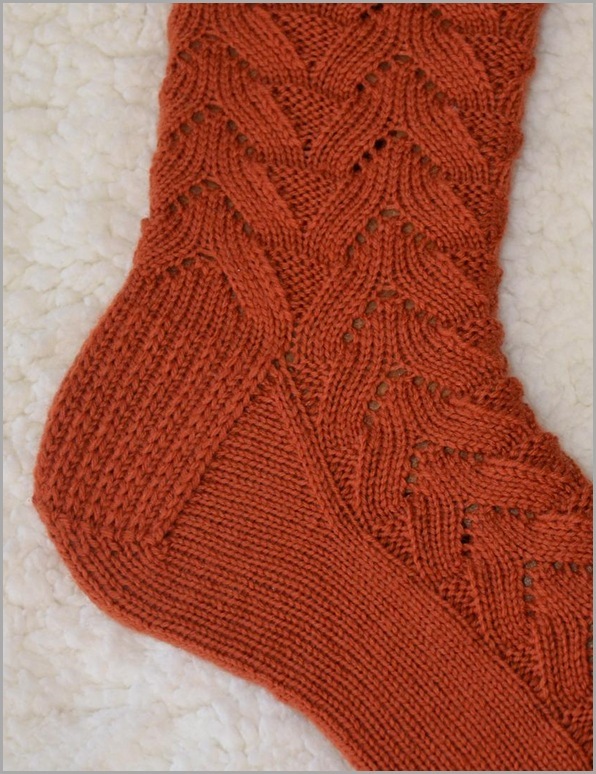 I didn't bother to skein up the second half this time. 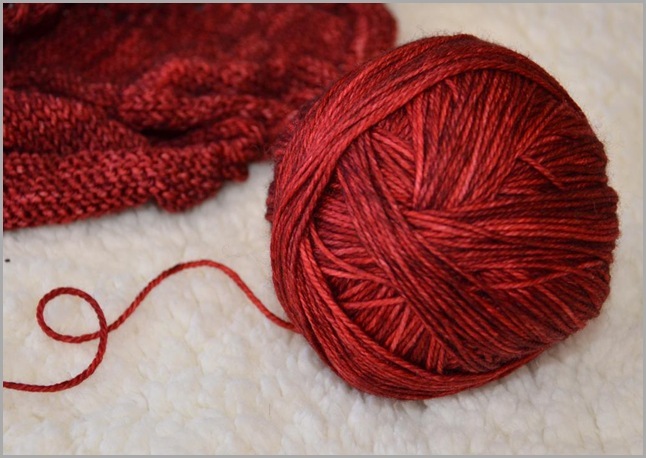 I just spun, plied, and then balled up the yarn so I could knit with it right away. I didn't wash the first bit, so I figured there was no point in washing the second bit either! 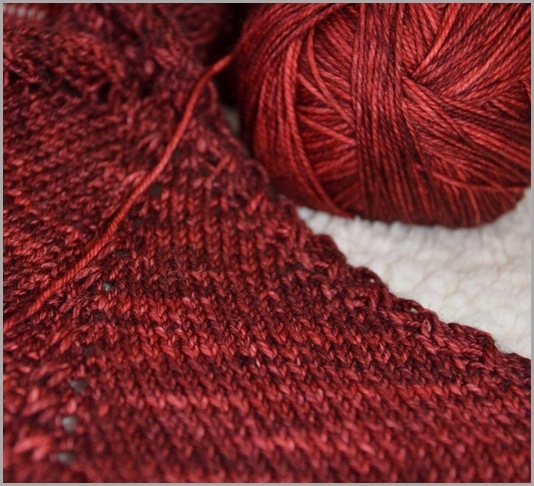 with Lace, the wash and block is so important, I know that process will finish the yarn anyways. If I keep up this progress rate... I might have ole "Strawberry" completed by the end of February!